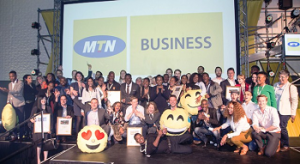 JOHANNESBURG, (CAJ News) – SHYFT has emerged the biggest winner at the sixth MTN Business App of the Year Awards. It has been named the Best Financial Solution and overall winner at an awards ceremony in Johannesburg. Customers are able to purchase and store foreign currency transfer funds overseas, order multi-currency physical travel cards, and create virtual cards that can be used for international online shopping all from a mobile device. Shyft app is a global digital wallet for Android and iOS. Other category winners were TransUnion 1 (Best Enterprise Solution),CheckOrderIN (Best Consumer Solution), EcoSlips (Best Incubated Solution), InterGreatMe (Most Innovative Solution), Zulzi (Best Breakthrough Developer), and Hey Jude (Best South African App). The ORU Social solution and TouchSA were recognised in the ‘Women in Science, Technology, Engineering and Mathematics (STEM)’ Solution category. Other winners were Pick ‘n Pay’s Super Animals 2 (Best Gaming Solution),TreeApp South Africa (Best Agriculture Solution) WatIf Health Portal (Best Health Solution) and Awethu Project (Best Education Solution). The app development competition is the biggest and most prestigious in South Africa. Previous winners include Domestly, LIVE Inspect, SnapScan and WumDrop. “The MTN Business App of the Year Awards gives local app developers the opportunity to tap into this exponential growth market, which is seen as the next driver of economic growth in the future,” Mandisa Ntloko, General Manager of Enterprise Marketing: MTN Business SA, said.